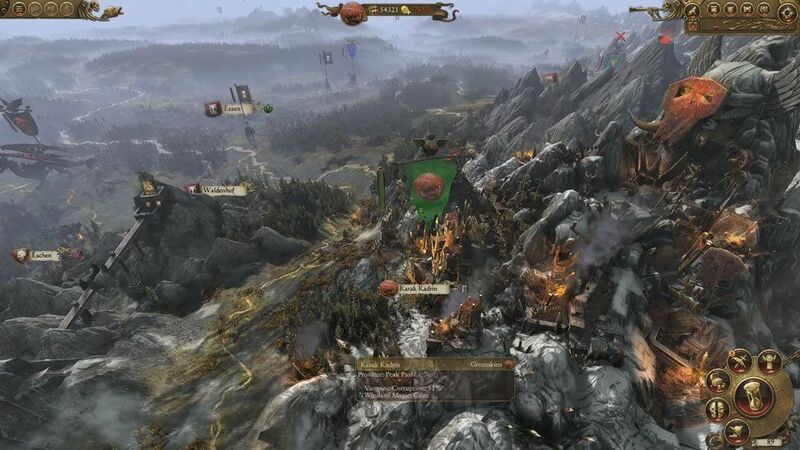 The next iteration into the Total War series puts us in the middle of the Old World from the Warhammer 40k universe – which is a huge step away from the historical feeling known to other TW games, but I think it will be a good change of pace. This video specifically focuses on the campaign map as well as various management options specific to the Greenskin (Orc) faction. There will be a massive amount of new features in TW: Warhammer and the majority of these are things only possible in this new fantasy setting. Things like magic-wielding units and aerial combat are just a couple of examples, and you can expect plenty of other new features. In my opinion, the vast amount of new changes in Warhammer makes Atilla seem like it should have been a $10 DLC for Rome 2. One of the most exciting features that I saw in this video was how drastically different the factions are, especially when it comes to how they can influence the areas they control. 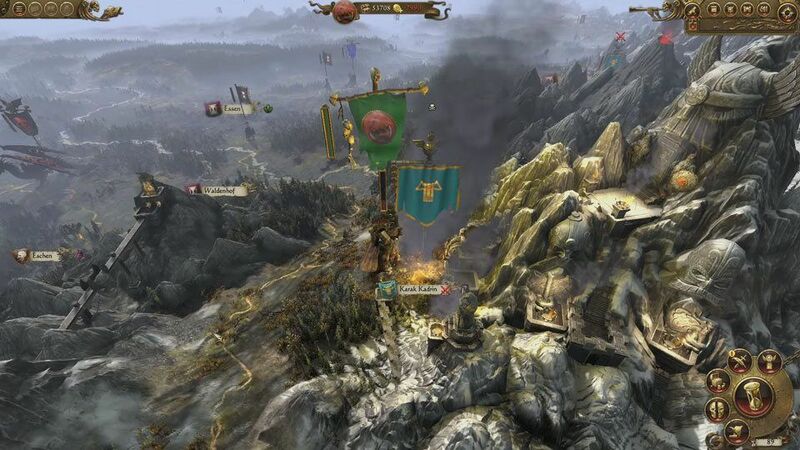 For instance, at around 3:00 you’re shown a Greenskin army besieging a dwarf settlement named “Karak Kadrin”, the Greenskin army goes on to capture the settlement and then adds their own visual flair – which I thought was a small but awesome addition. 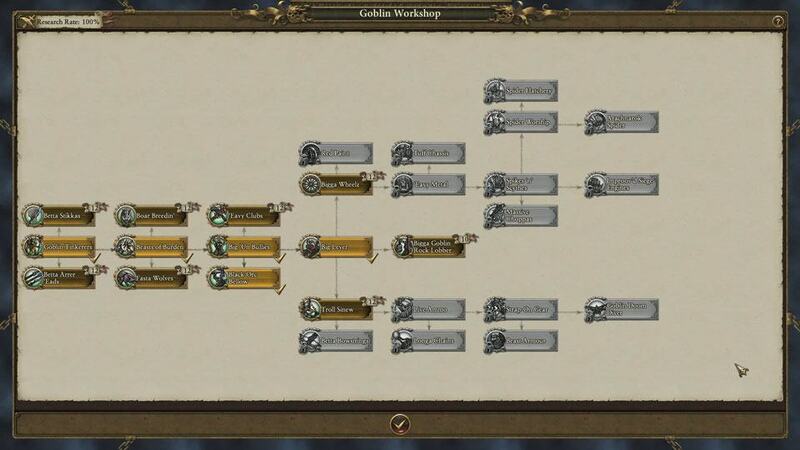 We’re also shown the Greenskin’s construction tree, as well as their tech tree. The construction tree doesn’t seem to have been changed much from previous TW games, minus a few small additions. 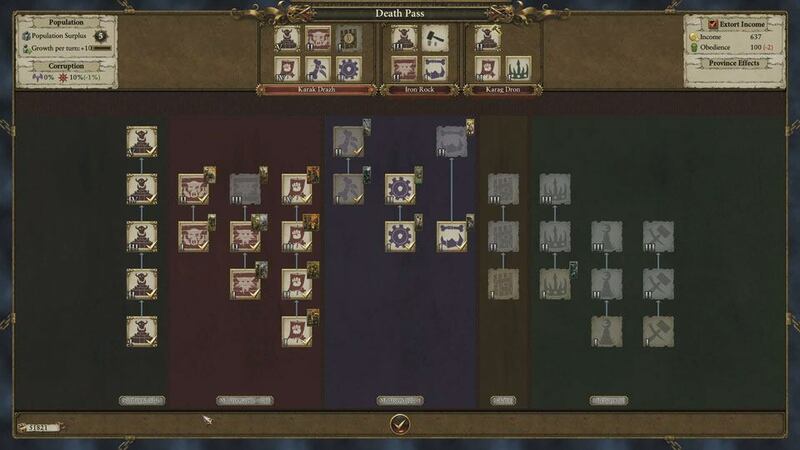 The tech tree looks like it has been completely stripped, compared to other TW games, and instead of being branched into 3 categories, we now have 1 single skill tree – but each faction has their own unique skill tree which all function in different ways. The old General system is something that has received a major overhaul and it looks awesome, so far. 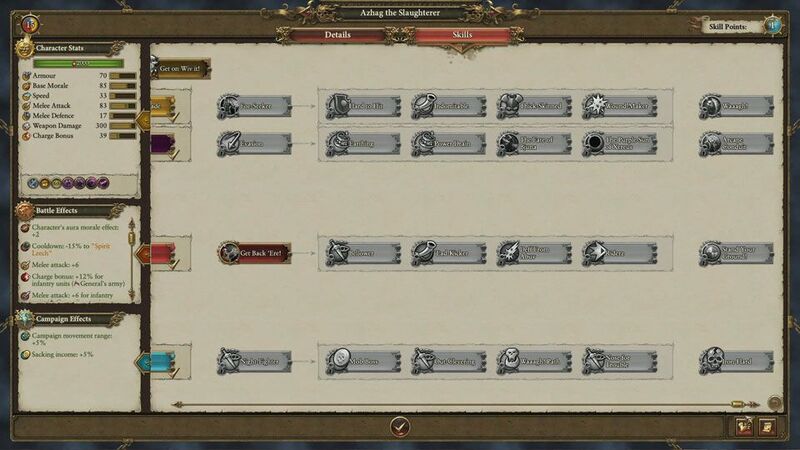 Before the skill tree used to be pretty much linear for any General you had under your control, but now there are different tiers of Generals who have unique skills based on their faction, and some have completely unique skills based on who they are. 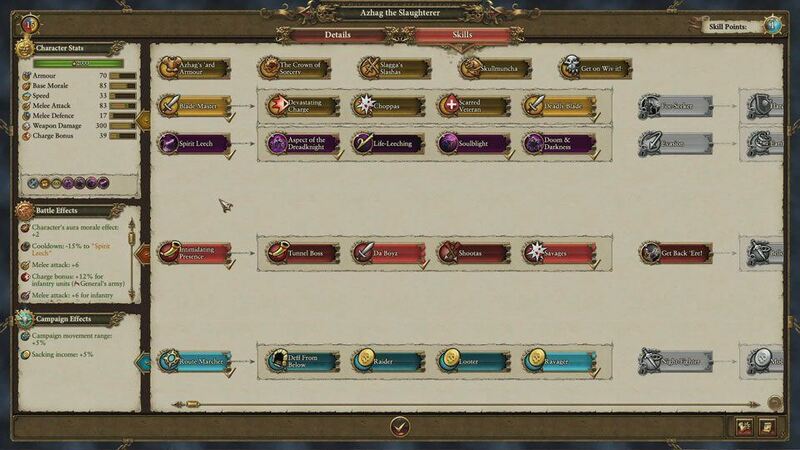 In fact, their new skill tree has a total of 30 levels, which is a lot more than previous (vanilla) TW games! Another great feature is that we can now equip Generals with different pieces of gear and even mounts! Some can even unlock unique personal quest chains to get significantly more powerful gear, etc. They’ve also been made a lot more useful in battle, and can be useful in direct combat or in supporting roles, again depending on the type of General they are. If you’re a fan of the Total War series, or even if you’re a fan of Warhammer 40k, then this game is definitely something that you’re going to want to check out. It already looks like an awesome game and it’s not even out of alpha yet, so I have no doubt that it’s going to be really great once it finally releases on April 28, 2016.